Patients with Alzheimer's have specific, unique needs when it comes to in-home care. At Danny's Home Healthcare, we're proud to provide Alzheimer's care to individuals all over Glendale and the surrounding areas. We believe you'll be impressed with our attention to detail and patient-before-profit perspective and appreciate our work with your relative. 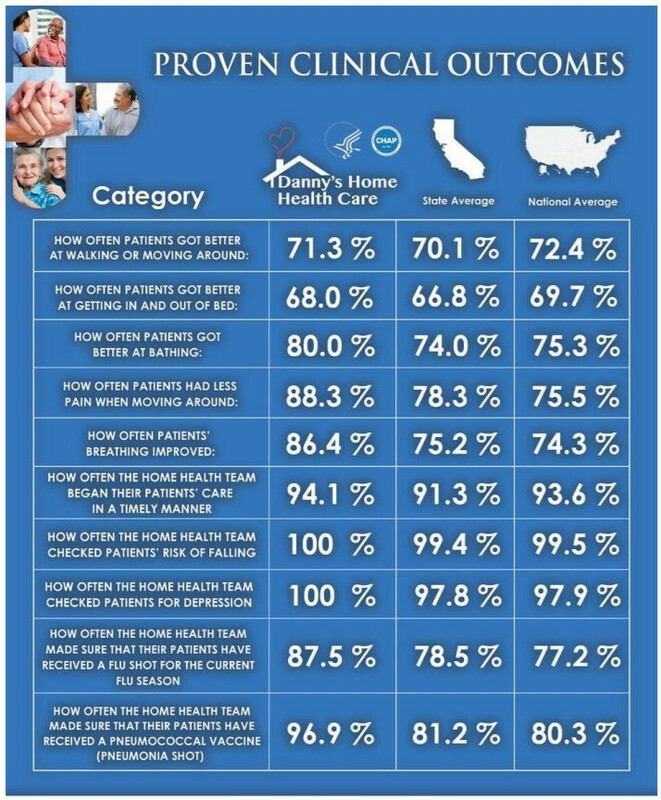 Check Out Our Proven Clinical Outcomes! Danny's Home Healthcare is a CHAPS-accredited, CMS-certified home health care provider operating in Los Angeles and the surrounding areas. We carefully select each of our caregivers for their integrity, clean background, and experience. When you choose to work with us, you'll benefit from our can-do attitude and dedication to making a positive impact on your situation. As a locally owned and operated business, we recognize the importance of building lasting relationships with each of our patients. If you're interested in finding a home health care provider in Los Angeles, Danny's Home Healthcare is a great choice. Contact us today, and you could be enjoying some peace of mind knowing that your loved one is safe. Now Accepting Clients with Medicare. Call Now For a Free Consultation.